Written by Tom Randall. This article first appeared in Bloomberg Technology. “The foundation is laid,” Musk proclaimed. Tesla was so confident, in fact, that it started selling its “Full Self Driving” feature for an additional $8,000 on any new Model X or Model S. Tesla’s timeline was, as is so often the case, years ahead of what most believed possible. Barclays Plc analyst Brian Johnson called it an “overly hyped product update,” and Tesla stock dropped 2.2 percent the next day. Still, to start charging for the feature surely implied Tesla was very far along—right? When Musk, 46, was asked in January at what point Full Self Driving features would noticeably depart from Enhanced Autopilot features, he replied, via Twitter, “3 months maybe, 6 months definitely.” Nine months later, it has yet to happen. A Tesla spokesperson said last week that “while it’s taken longer than we originally expected to roll out all Enhanced Autopilot features, the feature already provides significant assistance to drivers,” and added that the company is making “rapid progress” on new updates. But no matter when Full Self Driving becomes a reality or how the litigation ends, the legacy of over-promising and under-delivering has already besmirched the company’s success as an electric car maker and assisted-driving innovator. Meanwhile, as Tesla tries to fulfill its promises, rivals haven’t been sitting still. General Motors Co., Volkswagen AG, Volvo AB, Daimler AG and a Renault–Nissan–Mitsubishi alliance are all promising 2018 vehicles with the features that once set Tesla apart. “Tesla had an early start,” said Salim Morsy, an analyst at Bloomberg New Energy Finance, “but there’s a huge amount” of money being pumped into autonomous electric vehicles now. “The releases we’re expecting from the Volkswagen Group or Volvo or Daimler in the next two years will have a big impact on Tesla,” he said. Musk, well known for setting wildly aggressive deadlines and then missing them, averages being more than four months late on his predictions when it comes to Tesla. This “Musk Doctrine” of pushing the industry forward, while never setting a deadline he’s likely to meet, has worked in the past. Now, however, Tesla’s habit of falling far behind on promises is colliding with its first mass-market vehicle. The first Model 3 off the line. The Model 3, widely seen as central to the company’s survival, is already slipping from its schedule. Tesla took half-a-million reservations but has produced just 260 vehicles in its first quarter of production—far short of Musk’s projection of more than 1,500. Though it’s early days in the ramp-up of the Model 3, this is an especially dangerous time for Tesla to be testing the boundaries of consumer trust. Autopilot’s failure to launch as advertised hasn’t helped. How did Tesla end up here? It started with a bad breakup. 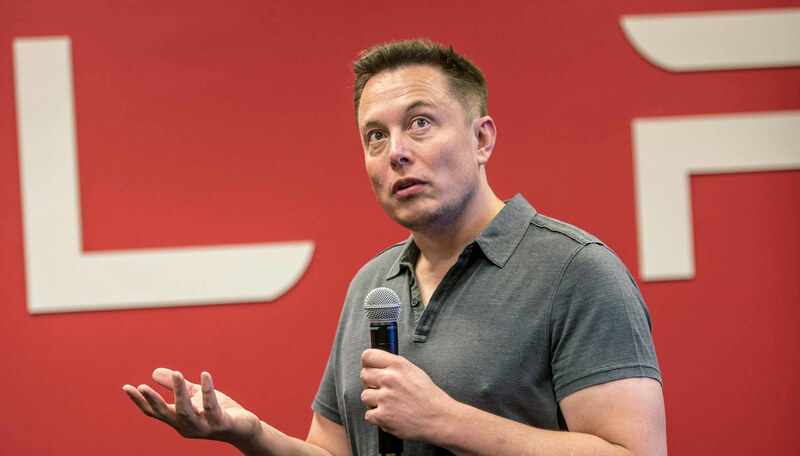 There was a very real question whether Tesla’s Autopilot could move forward without Mobileye. Those concerns were put to rest when Musk promised to bring out Full Self Driving mode. Tesla promptly replaced Mobileye’s tech with his own Enhanced Autopilot option, based on new technology the company dubbed Tesla Vision. It cost $5,000, twice as much as the previous version, but promised a higher level of autonomy for highway driving. While Tesla warned there would be a “calibration period,” it told customers the feature would likely deploy via an over-the-air update to onboard Tesla computers in December 2016, two months after the big announcement. After that, owners were told to anticipate frequent updates until the car could handle virtually all highway driving autonomously, including lane changes. The December deadline came and went. 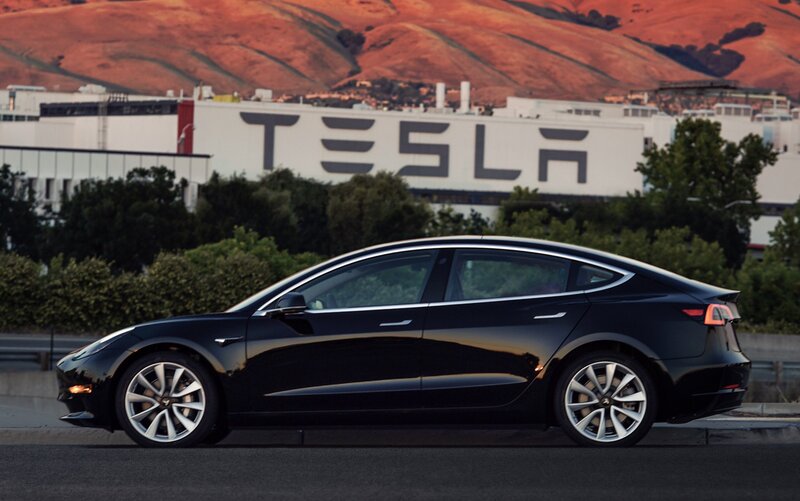 Key safety features that relied on the new hardware were delayed for months, including crucial components such as Automatic Emergency Braking, a life-saving technology that comes standard in all Teslas and helped establish them as the safest brand on the road. Auto braking wasn’t fully deployed until June. Worse than the missing features, in many eyes, was that the new Autopilot experience itself was flawed, marked by cars ping-ponging within lanes and sudden, dangerous swerves. While some aspects of Autopilot had improved by the time Bloomberg test-drove a Tesla in July, the overall experience still wasn’t as good as the original with Mobileye. Improvements have since brought it closer, but not all the way. It’s still missing some features from the original version, including automatic windshield wipers and the ability to read speed limit signs. “I felt the whole Full Self Driving video they posted was a big deception,” said Tom Milone, one of the class-action plaintiffs, in an interview. Like the other plaintiffs, he paid more than $100,000 for a Model S 90D in December and said that, based on the lack of progress with Enhanced Autopilot, he has no confidence Full Self Driving will ever be safely deployed. When purchasing Full Self Driving, customers must check a box acknowledging that “self driving functionality is dependent upon extensive software validation and regulatory approval.” It’s a fair warning that this option is not yet available. But in the software industry, “validation” means testing a product that, from an engineering perspective, is almost ready or exists in a strong prototype form. Tesla’s implication in using this term is that at least some of these features should be on the verge of rolling out. But so far there’s little indication that a true validation period—which in the case of Full Self Driving could require years and hundreds of test vehicles—has truly begun. All of this figures prominently in the lawsuit. Hagens Berman, one of the preeminent class action firms in the U.S., is leading the charge for Tesla owners. Partner Steve Berman represented a dozen states in the $206 billion settlement with Big Tobacco, as well as victims of fraud by Enron Corp. and Bernard Madoff. The 72-page amended complaint filed in San Jose federal court alleges fraud in the sale of Autopilot features, with lead plaintiffs from California, Colorado, New Jersey, and Florida describing similar experiences of expectation, expenditure—and disappointment. “Many owners report the Autopilot is essentially unusable and demonstrably dangerous,” the complaint states, referring to the versions rolled out at the beginning of 2017. The plaintiffs contend that rather than acknowledge problems, Tesla regularly posted optimistic notices of coming updates. The lawsuit refers to the self-driving technology as “vaporware,” tech jargon for software that doesn’t exist. Dean Sheikh, one of the lead plaintiffs, was first introduced to Tesla when his wife was searching for a replacement for her 2006 BMW X3. In early 2017, an over-the-air update was sent to Sheikh’s brand new Tesla, allowing him to engage the Enhanced Autopilot. “The system operated in an unpredictable manner, sometimes veering out of lanes, lurching, slamming on the brakes for no reason, and failing to slow or stop when approaching other vehicles and obstacles,” Sheikh alleged. A second update didn’t significantly improve matters. Tesla puts “safety at the core of everything we do and every decision we make,” the company wrote in a statement. By all accounts, the software is now much improved over when the lawsuit was first filed in April. Almost a year earlier, in May 2016, a Tesla Model S crash in Florida killed the driver. The accident was blamed, in part, on the old Autopilot’s failure to see a semi trailer crossing its path. Tesla responded over the next few months with updates requiring more driver awareness and a radar upgrade that would have prevented the crash. This year, Edmunds again ranked Tesla vehicles by far the safest based on available active safety features. Meanwhile, the competition is closer than it appears in his rearview mirror. GM is rolling out its impressive Super Cruise hands-free highway driving with the 2018 Cadillac CT6, as well as deploying a fleet of fully autonomous test vehicles in multiple states. The company recently became the first car maker authorized to test an autonomous fleet in New York. GM will be ready to deploy driver-free cars “within quarters, not years,” analyst Rod Lache told clients in a note Sept. 24, putting it “potentially years ahead of competitors.” In the last six weeks, GM’s stock jumped 25 percent, adding almost $15 billion in market value. Palo Alto, Calif.-based Tesla may still have the best driver-assistance program, outperforming such rivals as GM and Nissan in most driving conditions, but any lead it has in the quest for autonomy is probably measured by months rather than years. Before Tesla can move forward—let alone fully reclaim its self-driving crown—it must first catch up with its own promises.